This is my first impressions review on this loading bar . 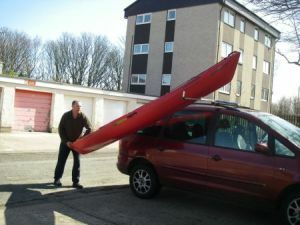 Something has been needed for a long time now to help with getting the kayaks on and off the cars single handed. 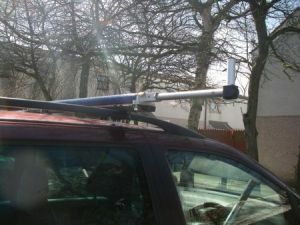 The first thing you will notice with this loading bar kit is how comprehensive the kit is with both bar mounts and slide bar mounts so it will fit virtually any roof rack . 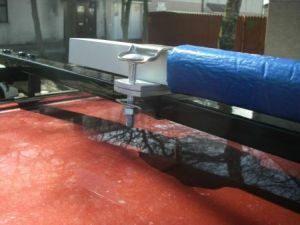 The bar its self is made from aluminium square with a sliding tubular bar which locks in place with a small button so it can’t slide out while driving. 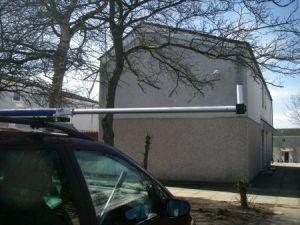 It can be used on either side of the vehicle and can be fitted in minutes. I fitted it to my roof rack in about 5 minutes. Above you see the bar half open a simple press of the lock button and it’s either open or locked closed. 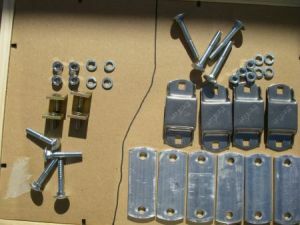 the comprehensive fixing kit on the left hand side is the slide kit and on the right is the standard square bar fixing kit. Above shows how the spacers are used on this bar notice the blue padding which is supplied to prevent any damage to your kayak. Above shows the fully extended open loading bar. 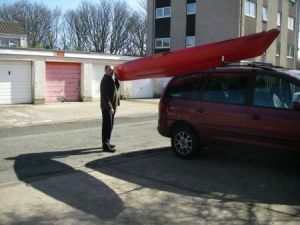 Putting the kayak on the car is easy with this bar. 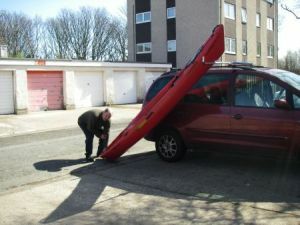 In the first step lay your kayak next to the car with the bar open. Then lift the front of the kayak on to the bar. 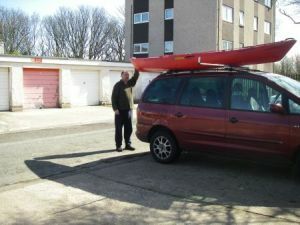 Step3 is to lift the rear of the kayak up to the roof rack note I am lifting it with one arm only it’s so easy. 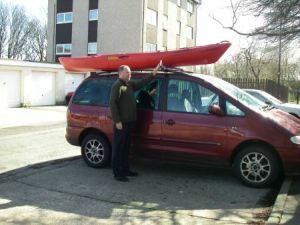 Slide the kayak in to the travelling position. 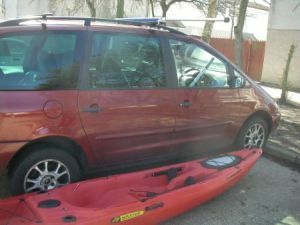 Press the small lock button and slide the telescopic arm back to the closed lock position and its as easy as that no more wrestling with the kayaks to get them on to the rack .